Ascott Residence Trust’s distribution per unit (DPU) stayed flat at 1.84 cents for the second quarter ended June 30. If year-ago results were restated to account for a rights issue, through which 481.7 million units were issued on April 11 last year, DPU would have slipped 16 per cent from 2.18 cents. Unitholders’ distribution fell 15 per cent to $39.8 million. Gross revenue for Q2 rose 6 per cent to $130.5 million, while gross profit rose 7 per cent to $63.1 million. Ascott Reit said Q2 DPU would have increased by 13 per cent if a one-off item for the same period last year was excluded. This was a realised exchange gain of $11.9 million from the repayment of foreign currency bank loans with the proceeds from a rights issue and completion of divestments of 18 rental housing properties in Tokyo. The Reit’s higher revenue and gross profit resulted from its acquisitions of assets including Ascott Orchard Singapore, Citadines City Centre Frankfurt and Citadines Michel Hamburg with master leases providing income stability, as well as DoubleTree by Hilton Hotel New York – Times Square South which continues to see strong demand, it said. For the first half of the year ended June 30, DPU declined 5 per cent to 3.19 cents. Revenue increased by 4 per cent to $243.3 million, and gross profit also rose by 5 per cent to $111.8 million. Unitholders’ distribution for H1 2018 fell 4 per cent to $68.9 million on the back of contributions from a realised exchange gain of $1.6 million airising from divestment proceeds and repayment of foreign currency bank loans with the proceeds. “Ascott Reit’s asset size has grown sixfold and shareholder returns have increased over 200 per cent since its listing in 2006,” said chairman Bob Tan. Although the global economy is forecast the International Monetary Fund to grow 3.9 per cent in 2018, tightening financial conditions and trade tensions are threatening global growth, Ascott said. Chief executive officer Beh Siew Kim said Ascott will continue to monitor and manage interest rates and foreign currency exposure through appropriate capital financing and hedging. About 84 per cent of its total borrowings are on fixed interest rates to hedge against potential interest rate hikes. “We have also ensured our debt maturity is well spread over the long term with the bulk of debt maturing in 2020 and beyond,” Ms Beh added. 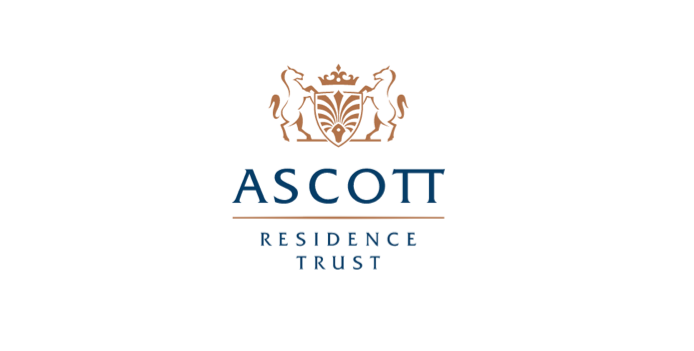 Ascott Reit has 73 properties in 37 cities across 14 countries.